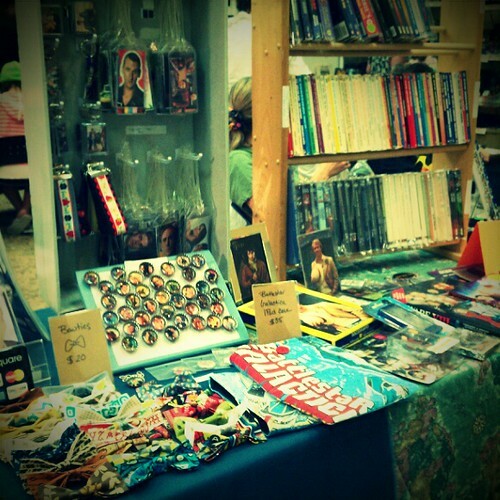 On the 7th I vended at FantaSci, a science fiction convention at the Chesapeake Central Library. I had never attended the event before, and didn’t know what to expect from a free one day con at a library, but I was pretty impressed. The library is HUGE and the con had a pretty wide range of guests, vendors, and programming. The only thing that was slightly disappointing was that our booth was in kind of an auxiliary room that was also holding panels and demonstrations. Did I mention that there was a lot going on? 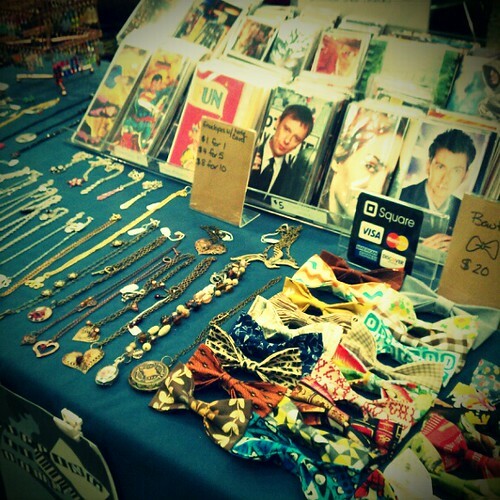 The booth had a mixture of vintage sci fi books and collectibles along with my usual stock of handmade jewelry and recycled pop culture accessories, plus Thirteen O’Clock’s bowties and iPad cases! 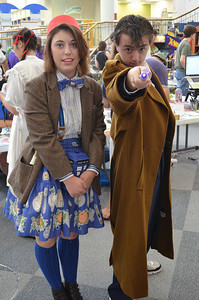 Someone posted some great pics of the con, including a very awesome Ten and Eleven (who made her own bowtie, which impressed me since I leave all the sewing to Thirteen O’Clock! 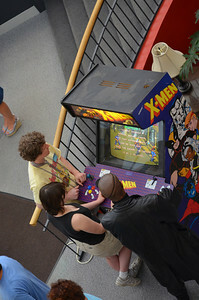 ), Nick Fury playing the only arcade game I was ever any good at (which I totally missed!!) 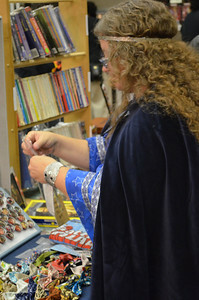 and a very friendly customer sorting through my newest product line, luggage tags, which I debuted at this event. They’ll be making it to etsy eventually!